Click the image for high resolution badge. Welcome to our ranking of the eleven top master’s degrees in counseling in Pennsylvania. If you’re thinking about earning your master’s or Ph.D. in counseling and you live in Pennsylvania take a look at these top-ranked schools. With nearly a dozen different reputable universities offering accredited graduate degrees in counseling (with many housing two or more top programs) the choice is yours to make. Your only difficulty in earning a degree in counseling in Pennsylvania will be figuring out where to go! And considering that the vast majority of these programs cost less than $15,000 a year to attend, you’ll be hard pressed to find a reason not to fill out an application right away. Click here to see the methodology we used for this best master’s in counseling degree ranking. 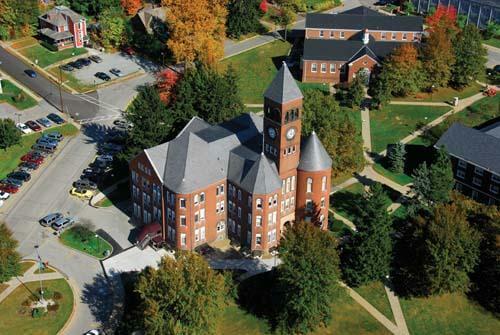 Religious and secular students stand to benefit from the top counseling master’s degrees available at Messiah College. Clinical Mental Health Counseling, M.A. ; Marriage, Couple and Family Counseling, M.A. ; School Counseling, M.A. You don’t need to have a messiah complex to change people’s lives through counseling, but it certainly helps to have a top graduate degree in counseling from Messiah College. With CACREP-accreditation in Clinical Mental Health Counseling; Marriage, Couple and Family Counseling; and School Counseling, Messiah holds the highest standards in counseling education across a broad range of disparate disciplines. 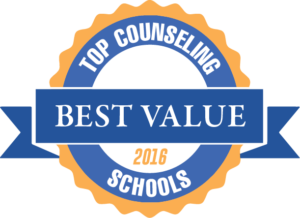 What makes this especially impressive is Messiah’s claim to provide the “only online, faith-based, CACREP-accredited, master’s in counseling program in Pennsylvania.” This rare combination of price, value, convenience, and spirituality puts Messiah high on the list of Pennsylvania’s top counseling schools. 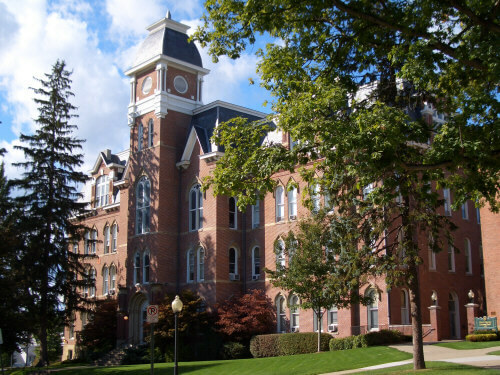 Small class sizes and a modern curriculum help ensure the success of students in this affordable master’s degree in counseling from Waynesburg University. Addiction Counseling, M.A. ; Clinical Mental Health Counseling, M.A. Thanks to increasing insurance coverage through the Affordable Care Act, careers in addiction counseling and mental health counseling are expected to skyrocket throughout the country in the coming decade. With an accredited master’s degree in counseling in either of these disciplines from Waynesburg University, you too can join the ranks of specialized human service workers improving the world on a national scale. In addition to CACREP accreditation, both of these programs boast single-digit class sizes, National Counselor Exam (NCE) pass rates just under 90%, and job placement rates of virtually 100% shortly after graduation. For caring and compassionate individuals, the University of Scranton’s Jesuit values easily make the case for its standing as one of the best master’s in counseling degree programs in Pennsylvania. School Counseling, M.S. ; Clinical Mental Health Counseling, M.S. The Jesuit value of cura personalis (literally “care for the entire person”) has had a presiding impact on the development of Western education, medicine, and philosophy for nearly half a millennium. 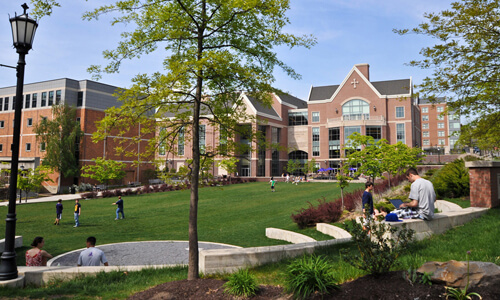 At the University of Scranton, Jesuit values inform all of its affordable master’s degrees in counseling to provide the highest quality of education at the lowest price. With small classes that take a holistic approach to learning and coursework that addresses the needs of individuals in both education and clinical settings, the spirit of cura personalis resounds throughout the halls of Scranton’s Panuska College of Professional Studies. Students in the accredited counseling graduate degree program at Geneva College can fulfill their career aspirations and Christian duties all in one place. School Counseling, M.A. ; Mental Health Counseling, M.A. ; Marital, Couple, and Family Counseling/Therapy, M.A. In Isaiah 9:6 of the New Testament, it says that “Jesus is our wonderful counselor.” Geneva College’s faith-based approach to Christian counseling helps students follow in the path of Christ and cultivate the “wonderful counselor” within themselves. But earning a degree from Geneva requires far more than faith alone. With 600 required internship hours; a 10-hour group training seminar to develop facilitation skills; and rigorous theoretical coursework in human development psychology, and sociology, Geneva’s CACREP-accredited master’s degrees in counseling offers a challenging but rewarding spiritual experience. After all, Geneva graduates’ 99% NCE pass rate is well worth the effort! In addition to four accredited counseling master’s degree programs, Duquesne University also boasts a bevy of other advanced degree options in psychology and related fields. Counselor Education and Supervision, Ph.D.; Marital, Couple, and Family Counseling/Therapy, M.S.Ed. ; School Counseling, M.S.Ed. ; Clinical Mental Health Counseling, M.S.Ed. 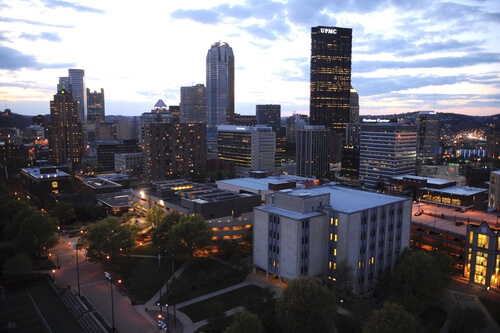 With such a breadth of educational opportunities for aspiring counselors, you might worry that Duquesne University is spreading itself too thin in the counseling department. On the contrary, each of Duquesne’s affordable graduate degrees in counseling—from its doctoral program in Counselor Education and Supervision to its MSEd in Marital, Couple, and Family Counseling and Therapy—have earned the stamp of approval from CACREP, the field’s foremost accrediting body. What’s more, these top offerings are just the beginning of what Duquesne has to offer; browse their education catalog and you’ll find related tracks in Child Psychology, School Psychology, Community Agency Counseling, and more. Counseling master’s degree students at Gannon University will have no trouble acquiring the training they need to work as licensed and certified counselors for years to come. 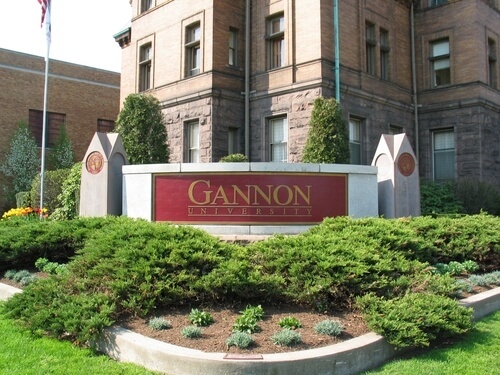 Gannon University has a longstanding tradition of providing top-notch education in counseling and mental health, making it one of the first and foremost such counseling graduate programs in the state of Pennsylvania. As a result, Gannon’s Clinical Mental Health Counseling program not only meets National Certified Counselor (NCC) and Licensed Professional Counselor (LPC) minimum requirements, it is also CACREP accredited through 2017 to ensure that the latest research, training, and educational models are upheld in every course. Combined with highly affordable tuition, it’s not hard to see why Gannon has earned such an esteemed graduate counseling degree ranking. Slippery Rock University is one of the few schools on this master’s in counseling degree ranking to provide graduate assistantships that can significantly defray the cost of tuition. Student Affairs, M.A. ; School Counseling, M.Ed. ; Community Counseling, M.A. With so many different ways to help others through counseling, it can be difficult to decide on a career trajectory before testing out your options. That’s why Slippery Rock University offers not one, but three CACREP-accredited counseling programs at the graduate level. But Slippery Rock University’s comprehensive range of top master’s in counseling degree offerings are just the tip of the iceberg. 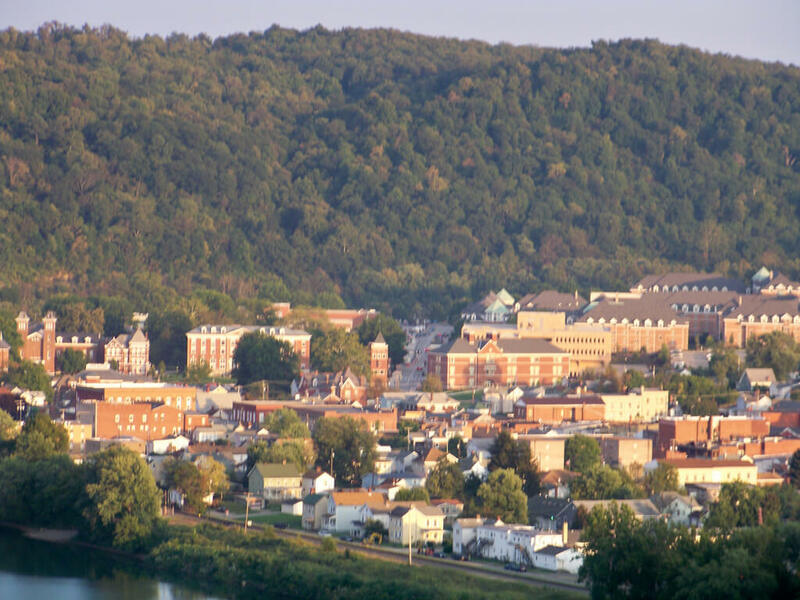 With over 100 graduate assistantships available to counseling students every year (each raking in a $4,000 tuition stipend) and a host of internship and practicum opportunities in the local community, Slippery Rock’s educational environment extends well beyond the classroom walls. 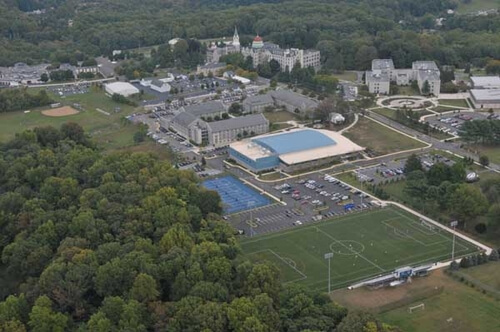 All else aside, Marywood University provides an attractive option to budget conscious students, as it is home to the most affordable counseling master’s degree in Pennsylvania. School Counseling, M.S. ; Mental Health Counseling, M.A. With a median salary of over $40,000 a year, school and mental health counselors make well above the average U.S. income, but even so, the personal rewards far outweigh the pay. 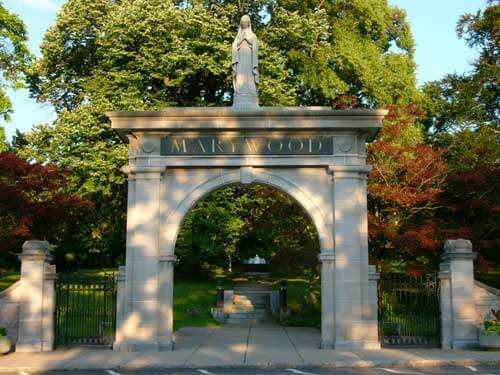 Marywood University’s accredited School Counseling and Mental Health Counseling programs are one of the cheapest ways to break into the quickly expanding workforce while also learning to expand your emotional horizons. From hospitals and schools to human resources departments in private businesses, the integrated, practical master’s degrees in counseling available at Marywood will prepare you for any of the diverse opportunities available to those with compassionate, ethical, and sociologically-informed outlooks on personal relations. 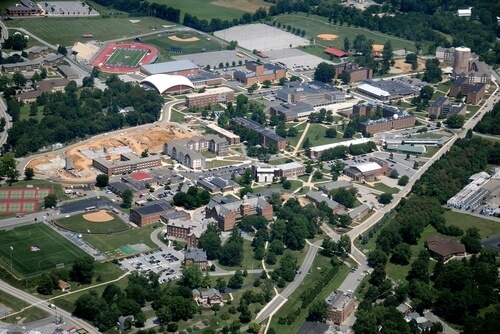 Like all of the top counseling graduate degree programs, Shippensburg University expertly blends theoretical instruction with hands-on learning. School Counseling, M.Ed. ; Clinical Mental Health Counseling, M.S. ; Student Affairs and College Counseling, M.S. Like teaching, psychiatry, and automotive engineering, counseling is a mixture of art and science that requires advanced training to perform at the professional level. That’s why Shippensburg University masterfully blends sociological and psychological theory with on-location practice to train future counselors in its CACREP-accredited graduate counseling degree programs. From School Counseling and Student Affairs/College Counseling to Clinical Mental Health Counseling, this top university requires all students to complete a lab practicum and a minimum of two internships before they graduate. Of course, that’s in addition to the school’s already comprehensive, interdisciplinary counseling curriculum. California University of Pennsylvania balances low cost and high quality even while granting its master’s in counseling degree students the flexibility to balance their studies with other life commitments. School Counseling, M.Ed. ; Clinical Mental Health Counseling, M.S. Trying to balance work and school, especially in the middle of a career, can feel like living in a paradox: you need to work to pay for school, but you need the education to find work that pays. But that’s one thing students at California University of Pennsylvania don’t have to worry about. Combining affordability, quality, and convenience, CALU’s 100% online graduate programs in School and Clinical Mental Health Counseling provide a way out of this vicious cycle. Students looking to start a career in either of these meaningful fields will be hard-pressed to find an easier way to earn a top master’s degree in counseling. 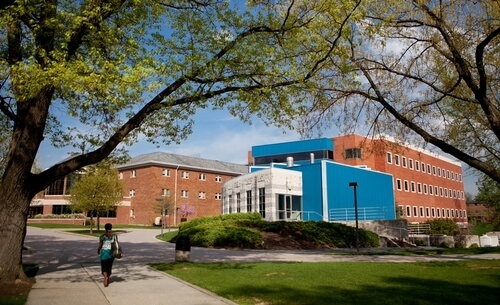 Neumann University has skillfully drawn on its spiritual roots and dedication to community service in order to develop one of the best master’s degrees in counseling in New York. “Catholic Education in the Franciscan Tradition” may sound a bit arcane, but the graduate counseling degrees at Neumann University are anything but exclusive. In particular, Neumann’s M.S. in Pastoral Clinical Mental Health Counseling is easily one of the top counseling master’s degrees in the country, presenting a masterful blend of social psychology and spiritual doctrine to ambitious students at a competitive price point. This program benefits from accreditation not only from CACREP, but also the American Association of Pastoral Counselors (AAPC), which opens the doors to an enormous range in career opportunities in both secular and religious institutions. 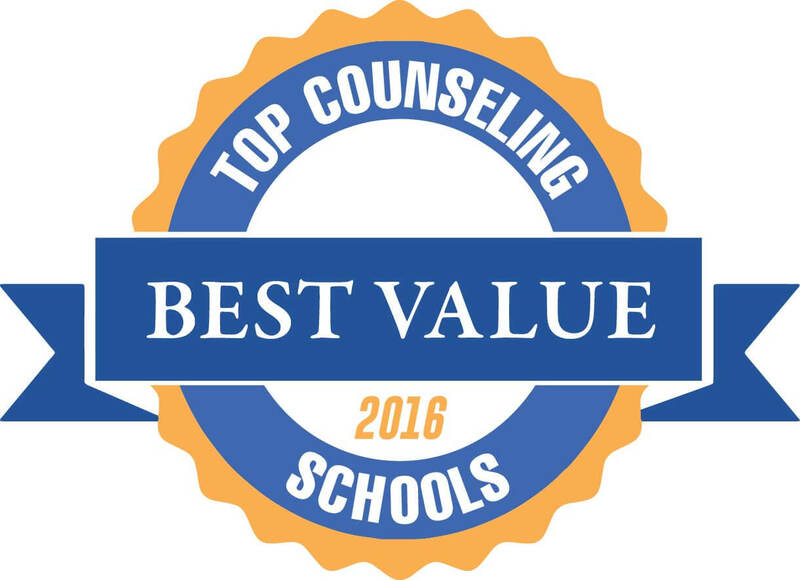 This concludes our ranking of the best graduate degrees in counseling in Pennsylvania.